Comments from the Recording Academy's president have inflamed critics, who saw this year's awards show as further proof that a pervasive gender imbalance exists in the industry. Canadian singer Alessia Cara was the only woman to win one of the major categories at this year's Grammy Awards, and less than a quarter of the 84 trophies handed out Sunday went to either a woman or group that included a woman. But it was backstage comments from the Recording Academy's president that inflamed critics, who saw this year's awards show is further proof that a pervasive gender imbalance exists in the industry. 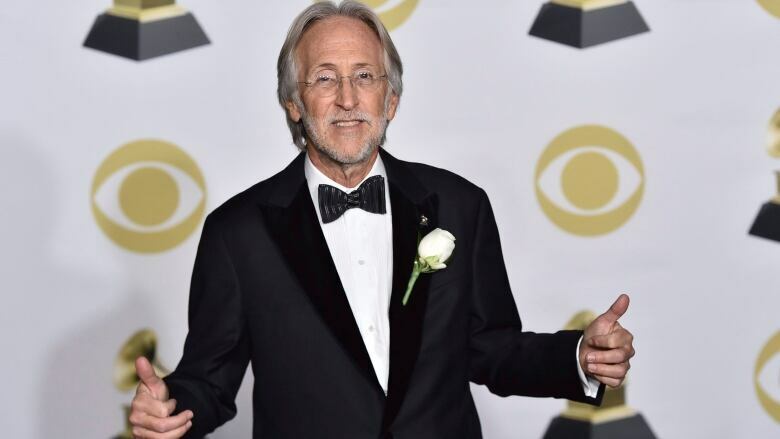 "I think it has to begin with women who have the creativity in their hearts and souls, who want to be musicians, who want to be engineers, producers, and want to be part of the industry on an executive level," Neil Portnow told reporters in the press room after the show on Sunday. Portnow issued a statement Tuesday, saying he didn't express himself as articulately as he should have. Puhleeeze... the team that wouldn’t let Album of the Year nominee Lorde perform, but booked Sting and Shaggy to perform twice giving the Grammys their lowest TV ratings in a decade, say women need to step up? You can step DOWN, thanks. Suggesting that women aren't "stepping up" in the music industry frustrates Aerin Fogel, organizer of Toronto-based feminist arts celebration Venus Fest. She said she is not surprised by the reaction from the executives. "In a way what he's (saying) represents the larger issues in the music industry — and in most industries," Fogel said. "There are real inherent challenges for women to be moving through these structures in the same way as men." Backlash against the Grammys over its gender disparity started long before Sunday's ceremony. When the nominations were announced in late November, many fans were quick to note that major categories were stacked with men. Tension mounted in the days before the event when Lorde's mother, Sonja Yelich, tweeted an excerpt from a New York Times article that said only nine per cent of nominees were women over the past six Grammy Awards. During the broadcast several female artists — including Kesha and Lady Gaga — delivered impassioned performances in solidarity with the MeToo movement. Neither artist took home a Grammy at the ceremony. Some have stood behind the Grammys, saying women haven't been entirely left out. Adele won twice for album of the year over that same six-year period, while Taylor Swift grabbed the award once. Meghan Trainor was chosen as best new artist in 2016 before Cara this year. But the wins are still mostly men in those categories. Anne Douris, a Toronto-based musician who performs as Bossie, said Grammy figures suggest the organization's president is "tone deaf" on timely issues. "The attitude of 'pull up your bootstraps' is such an easy thing to say," she said. "People in that position of power need to be working a little bit harder to look at this as a complicated issue." Before she launched her solo career, Douris regularly toured with other bands, including several Canadian rock musicians. "I would work on tours where I was the only woman and the entire time nobody would shake my hand," she said. "People would assume I was someone's girlfriend." Douris said those memories came rushing back when she heard executives at the Grammys suggest women work harder to pursue industry roles. "There's lots of women working very hard, you're just not talking to them," the musician said she wished she could tell the leaders. Grammy-winner Barbara Hannigan said she didn't face a lack of opportunities as a woman when she first started in the music industry. As a soprano, the Nova Scotia singer only competed for jobs with other women. 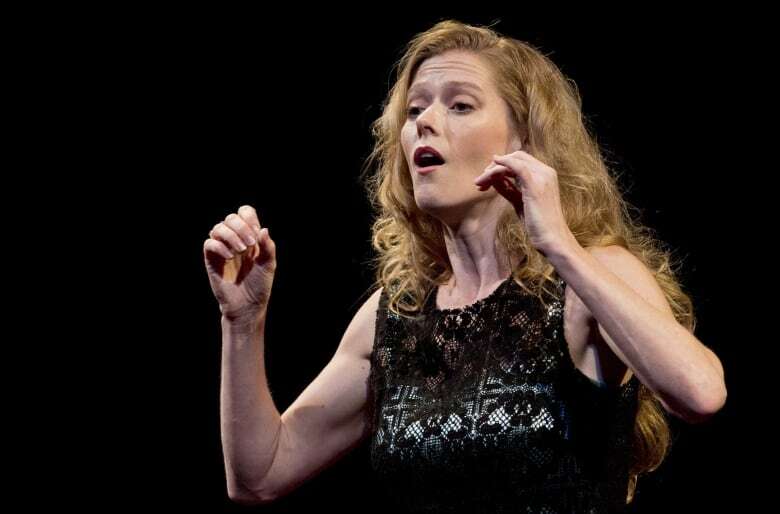 "Then when I became a conductor, all the sudden I was in a male-dominated field and I started getting all these questions about my gender," said Hannigan, who picked up a Grammy for classical solo vocal album at this year's awards. "I don't want to be considered a female conductor, I want to just be a musician," she said. "As soon as someone puts 'female' in front of my job, they immediately change the focus from my work to my gender, which I find kind of frustrating." Hannigan said that while her priorities are focused on creating music of the highest calibre, she still acknowledges that she was raised in a world where female conductors were put in a box. "For some reason it seemed absolutely appropriate for a woman to conduct a choir but not an orchestra," she said. "I don't know why that is. All I know is that I never saw that." While she doesn't dwell on her gender, Hannigan recognizes she is among a rare set of female conductors. She was reminded of the fact during a recent performance for a couple of thousand teenagers, many of whom had little exposure to classical music. "That's amazing because they're going to sit in the hall and they're not going to find it strange to see a woman on the podium," she said. "In that way, by me just showing up — and doing what I do the highest of my ability — this is what's important."